I haven't used a desktop in over 10 years. I've been using laptops/notebooks, none of which had better than integrated graphics. After saving up and planning for years, I finally built my first PC, buying my parts between Black Friday and Christmas to get some pretty sweet deals. The prices I listed all include about 10% state tax except for the cpu which I got on a great deal from Rakuten. 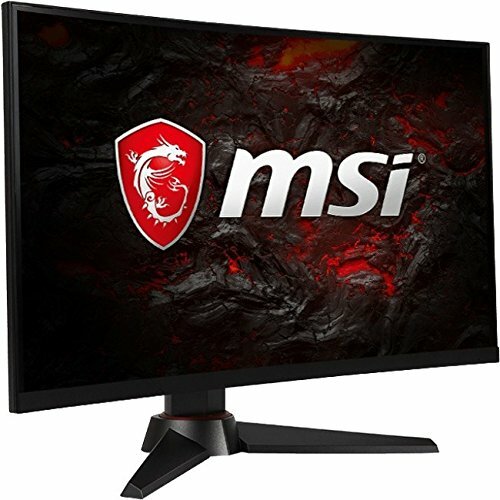 My before-tax price of the entire build was about 950 USD, including the monitor. Luckily I didn't have to purchase windows 10 since my University gives the education version for free to students. My budget goal was 1000, so I only went over it a bit, although i splurged on some "nice-to-haves" like the m2 nvme and the case. I have a 2tb external hard drive so I didn't need to purchase bulk memory at the moment. Overall my build went fairly smoothly and quickly. What an incredible experience! Edit/Follow-up: After a week, the computer runs great with no issues. I chose not to overclock the cpu after hearing mixed reviews. The 2600x auto function is great at getting its various cores to 4.0ghz when needed at less than 1.2v and single cores up to 4.1 or 4.2 temporarily; manually overclocking is basically silicon lottery where some can get all cores to 4.2ghz stable but it takes a much higher voltage and temperatures while handling its multi-core loads worse than auto. After turning on XMP, my memory runs at 2933MHz with timings of 16-17-17-36 (It doesn't run at cas15 exactly). I then overclocked it to 3133MHz without changing timings and by barely increasing voltage to 1.38v. Case- NZXT H400i. If anyone else was doing a budget build with the same specs, this would probably be the thing to cut down on cost. However, I loved this case after after doing tons of research. At first I was between the H500i and the meschify C, which were compact atx cases with great reviews, but then I realized there was so much extra space so why not go smaller. My dream was a mini itx like the h200 but I was a bit intimdated to go that small for my first build, and because many of the components were more expensive. Therefore, I decided on Matx, There were plenty of cheap and functional cases in matx form factor, but the only one I really wanted was the h400. It looks so clean and fits my aesthetic, and after finding some great deals on the other components I even decided to purchase the i version of it, as it was only 20 dollars more than the non i. It also comes with 3 case fans. And since the 2600x stock cooler is pretty solid, I didn't need to buy an aftercooler market. I instead bought 1 thermaltake riing fan white led for some added airflow and aesthetics for a low cost. Cable management was much easier than I expected, this case is great. Motherboard- MSI B450M gaming plus. Another huge factor for going mAtx was because I saw this deal from Fry's. I know mAtx isn't much smaller than Atx, and has a lot less features/room for upgrade, but I saw this for 45 dollars new, and couldn't pass it up. I originally wanted to get the b450m mortar if I were to go with that form factor, but it apparently got discontinued and was only available for 100 from amazon. I would never need 4 ram slots and multiple pcie x16 slots. It also allowed me to still put in a pcie wifi card (unfortunately too far/too much trouble to do routing in my apartment for ethernet). Reviews also showed that it had great VRM compared to other B450m boards, if I wanted to do some medium overclocking in the future. 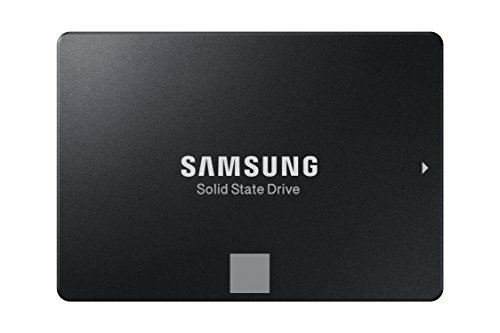 The only downside I can potentially see is that it only has 1 m2 slot, but it's got plenty of SATA. CPU- Ryzen 2600x. After reading plenty of reviews and setting my budget, I had decided on the 2600 and then buy an aftermarket cooler and overclock. Then came along rakuten's deal for the 2600x for 164 USD and NO TAX. This basically put it at the same price as a good deal on the 2600 + tax. Quickest reaction buy after seeing it listed on bapcsales reddit. One issue I had while building is that one of the four screws on the cooler don't exactly line up with the mount on the motherboard, so I could only screw 3 of them in. However, the thermal paste spread correctly and the cooler fit on tightly with the 3 mounting points. There was no budging when I held the entire motherboard up by grabbing the cooler. I've been monitoring temperatures and there have been no abnormalities; readings have been great. Let me know if anyone's experienced this before. Graphics card- Sapphire Radeon RX 580 8gb Nitro+. My goal was 144hz on 1080p on high settings. Of course, I wanted a 1070ti and I had a few opportunities to grab them at around 350 or less + game bundles. However, I let them go by because they were still very expensive, even if I sold the games. Instead, I picked up the saphire edition of the rx580 when it went for 190 on newegg (209 with tax). This is everything I need for 1080p, and I don't mind adjusting settings a bit to play online competitive games at 144hz, while still being able to run single player games at high/ultra settings in 1080p and good frames. I also purchased a freesync 144hz monitor during black friday, so it benifitted me to get an AMD gpu for when I'm not hitting 100+ fps. Furthermore, I had read that this card has the best quality components for cooling and longevity. Aesthetically, this card looks amazing. The blue led logo fits my theme perfectly and I love the backplate design and the heatpipes. I couldn't be happier. In a couple years, if I want to upgrade to 1440p, my case can still fit a larger graphics card too so this 580 was a great budget buy giving me what I need now. 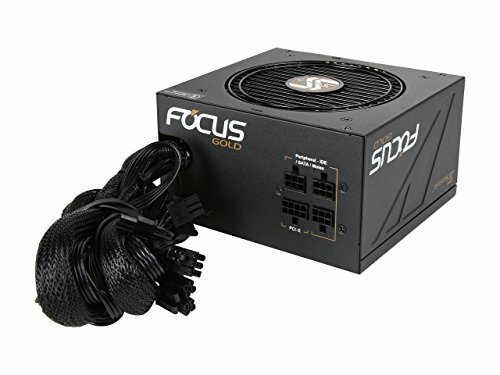 PSU- SeaSonic Focus Gold 750W is a bit more than I need (even if I overclock) but this was the best deal on a gold PSU that wasn't b-stock. From what I researched, this psu should still be efficient at my idle load, especially being gold certified. Reviews and the PSU tier list also said nothing but good things about this unit. Unfortunately I missed the deal on the slightly more expensive EVGA 650W G2 for 60 dollars. However, I wasn't going to buy custom cables anyway so the semi-modular was good enough and still allowed for easy cable management. Memory- Corsair Vengeance LPX 16gb. Since my case already had rgb strips and I didn't want to go all out rave on my build, I told myself I wouldn't spend extra on rgb ram. I just waited for a reputable ram that was at least ddr4-3000 16gb to hit 100 dollars. Storage- Samsung 860 evo 500gb was one of my first buys when it went on sale for 54 (not including tax). It had the best benchmarks and reliability so it was an easy choice at that price. Also, because the case has a front SSD mount, the clean and sleek aesthetic of the 860evo fits perfectly. I wasn't planning on buying an NVME M2 ssd, but when the ex920 went on sale, I couldn't resist. It was 68 before tax, so only 14 dollars more expensive than the 860 evo i had purchased, and 2.5x faster (and 12gb more kappa). It seemed great, but in hindsight I probably won't even be making good use of the drive other than for bootups. It doesn't make much sense for an enthusiast feature in a budget build when I already had an SSD, but oh well, I saved a lot of money on my other parts and now I can feel like a hipster. One thing to note is that the ex920 has blinking red dot lights in the middle of the card that you can't turn off, it's a little annoying. PCIE wifi card- Febsmart FS-N600. My connection isn't ideal because I have to go through 2 walls and 30ft to the router. It seems pretty stable but I'll have to test it out more in longer gaming sessions to see if I need to buy a more expensive card with ac wifi and stronger signal strength. Very nice build. Love the colour scheme you settled on. Very cool setup ! I like the wallpaper, where you find it ? It's a program called Wallpaper engine. Bought it on steam for 4 dollars. There's a bunch of customizable live wallpapers. It's awesome! That is one clean looking build! Wow.... Simply.. Wow !!! Beautiful work. You can tell that look of commitment and time was invested here. Nice bro. Almost identical build to mine that I just posted yesterday! This right here is a build done well. Nice build. Any problems with fan headers? Nope, the case's smart device comes with fan splitters, so I just plugged in the 3pin cable from my thermaltake riing fan into the 4pin splitter. The smart device gets powered directly by the PSU so none of the fan headers on the mobo have been used. I think using the smart device and splitters and the 2 non-cpu fan headers, I could connect like 8 fans total, which way exceeds the case size. Hey man great build. Im currently making a build similar to yours. I too am going to use a PCIE WiFI card and was wondering if you send a picture of how it fitted if you can? Just curious to know if you had enough space as you were using a Micro ATX board. Ok I understand. Thanks a lot just need to conform that a wifi card would fit on this mobo. I dig the build since I have all the same parts aside from the mobo and CPU, I went with the Ryzen 5 2600 and the B350 F Gaming ROG Strix mobo. I am very interested in the RX580 Sapphire since the GTX 1070 is still like 350 or more. My question is can you adjust the lighting on the GPU? I plan to use the Aura feature of my mobo for all case lighting and im curious if you know how one might integrate the cards lighting with that ? Hi :) Great build ! I've the same case, how did you manage to have 2 differents colors for the 2 led strips ? NZXT's Cam software, although it isn't the best, allows you to customize your lighting in addition to monitoring fan speed and cpu/gpu temperature. There are a variety of lighting effects, mine switch from blue to pink down the line in each strip. You can have each individual LED on the strip be a different color if you wanted with different lighting patterns. Yes I've the same case and I use Cam everyday but I can only set the same color on both strips. Not the top one in blue and the bottom one in purple like you.. Have you plug one of them on the rgb header's motherboard ? I actually have them both set as the same colors/pattern. It flashes from blue to purple down the line. But since one of them is on top, and one is on bottom (connected at opposite corners into the LED headers), they flash from blue to purple at opposite times.